Kernavė archaeological site, inscribed into UNESCO World Heritage List in 2004, is an open-air exhibition created by nature and man over many centuries. 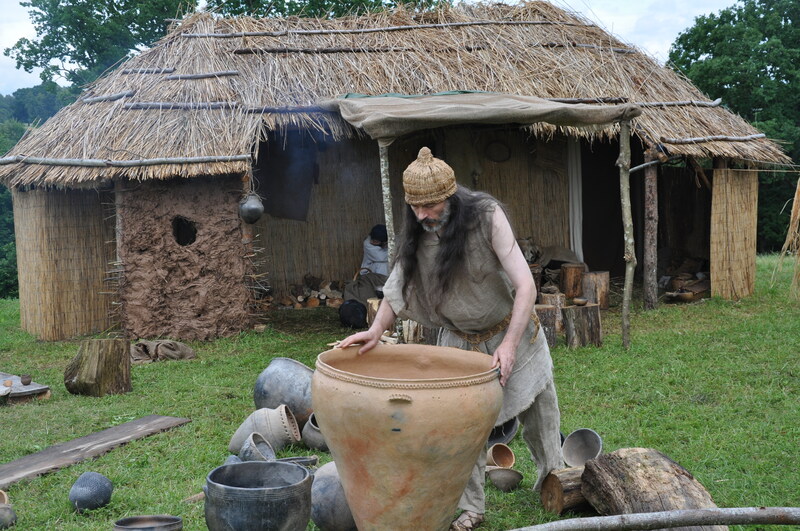 During the traditional festival “Days of Live Archaeology in Kernavė”, held since 1999, visitors are invited to put their hands on various crafts of prehistoric times and the Middle Ages with the help of masters of craftsmanship from Lithuania and other European countries: Belarus, Germany, Hungary, Latvia, Norway, Poland, Romania, Russia and Ukraine. Visitors can experience archery, minting coins, riding horses, and also taste meals made according to ancient recipes. The event takes place in the craftsmen’s yards from the 13th – 14th centuries, which have been reconstructed on the basis of archaeological data (open-air exhibition). Visitors are also welcome to the Archaeological Site Museum, which houses archaeological finds from Kernavė archaeological site. The 19th Festival is dedicated to the Lithuanian Statehood Day and the Centennial of the Restoration of the State.